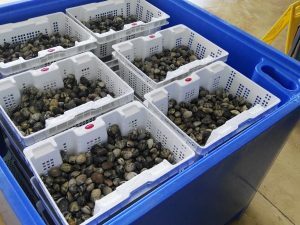 The new range of TEPSA plastic crates for oyster and other bivalves farming stand out for enabling work to be faster and for their resistance against marine corrosion and impacts. 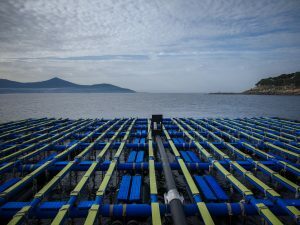 The new structure design for oyster farming and for the farming of other bivalve mollusc is the result of TEPSA’s commitment to the continuous improvement of its products. In comparision with the previus range of perforated crates, the number of metallic elements has been reduced and materials and thicknesses more appropriate for marine environments have been used. The great advantage of this oyster farming system is that just by pressing or loosening the two superior screws one can release all the column of crates at the same time. 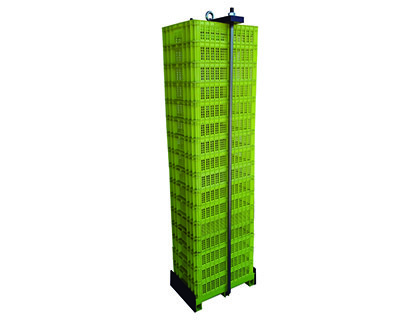 In one same column of crates one can include crates with different perforations (currently available in 2, 4, 6 and 10 mm. mesh size). Unlike with other systems, such as japanese lanterns or the metal shelving for oyster bags or plastic crates, farmers do not have to open the compartments one by one, thus allowing them to work in a faster and easier manner. TEPSA’s stackable and perforated plastic crates (Model 2.53) have exterior dimensions of 50x34x12 cm and they are manufactured with High Density Polyethylene (HDPE) wich is food grade approved. Their reinforcements on the sides and bottoms, as well as their thickness, enable them to resist any impacts and marine conditions (corrosion, fouling, etc.) without any problems for many years. 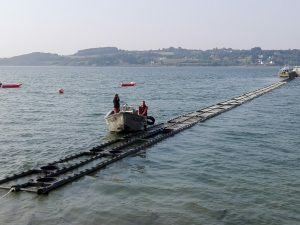 This new oyster farming system is the ideal complement for TEPSA’s floating aquaculture installations, such as pipe longlines (long tube farming system) and plastic offshore rafts. The new sets of crates are available in the form of 1 column of 16 crates high and 2 columns of 14 crates high. 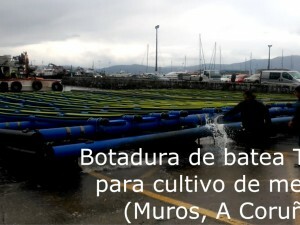 If you like to receive more information on the installations and accesories for bivalve mollusc farming we offer, please do not hesitate to contac us.